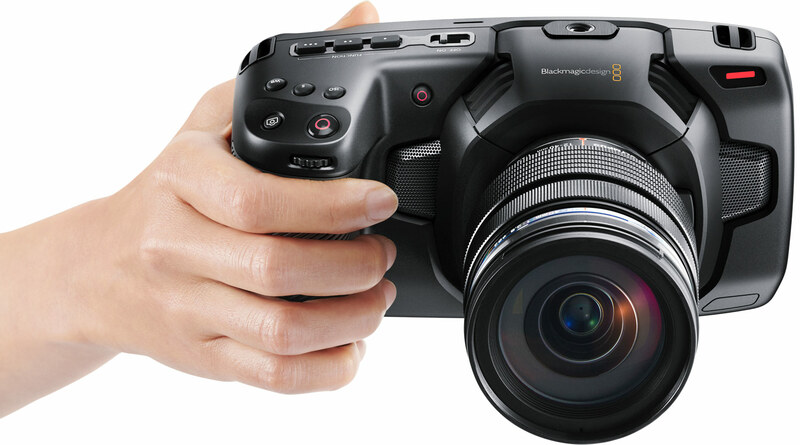 Blackmagic has officially announced a new successor to their original Pocket cinema camera (BMPCC), Introducing the new Blackmagic pocket cinema camera 4K (BMPCC 4K) - with upgraded features and a more usable body design , the camera aims to address all the shortcomings of the first generation product and bring something new to the table . The BMPCC 4K , as the name suggests , shoots 4K Cinema RAW in either UHD or DCI (Cinema 4K) at 60fps and it can also shoot HD 1080 at 120fps . The camera's MFT (Micro 4/3) sensor (Which is now a full size MFT sensor -unlike the previous model which was cropped to Super16) also features a native ISO of 25600 ,and it has 13 stops of dynamic range and there is support for HDR . The body of the camera is somewhat inspired by the URSA line, although its no longer "pocketable" the camera is still small enough for gimbals and rigs. 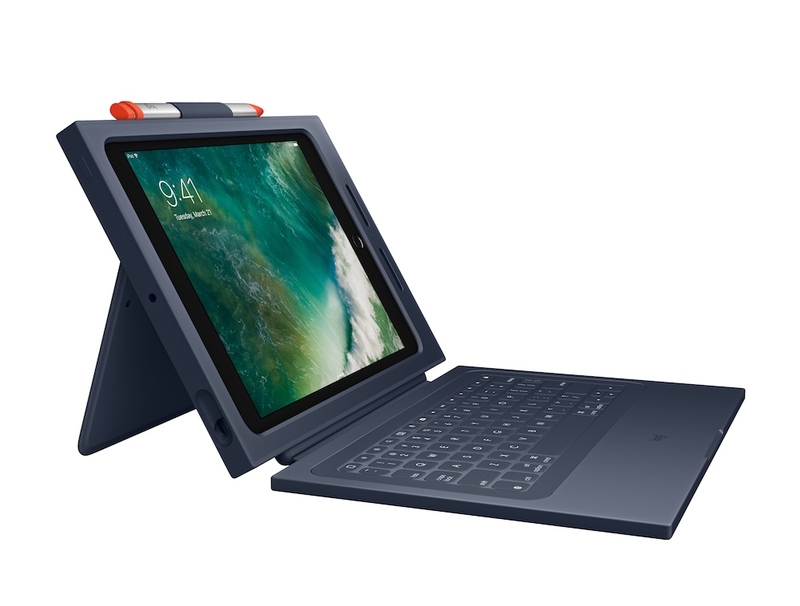 The 90's style body (which is made out of CFRP) features a large 5" 1080p resolution touchscreen display , a CF card and a UHS II SD card for recording media to , and a full size HDMI port for external peripherals.The camera also has USB C video out (USB C powered media recorders) . Pricing for the camera is said to be $1295 and this includes a free full version of Davinci Resolve Studio which is usually sold for $299 , the camera , as it has a MFT mount , will easily work with any Panasonic or Olympus MFT lens and many others as well. The camera supports Canon LP-E6 - making the camera quite adaptable. 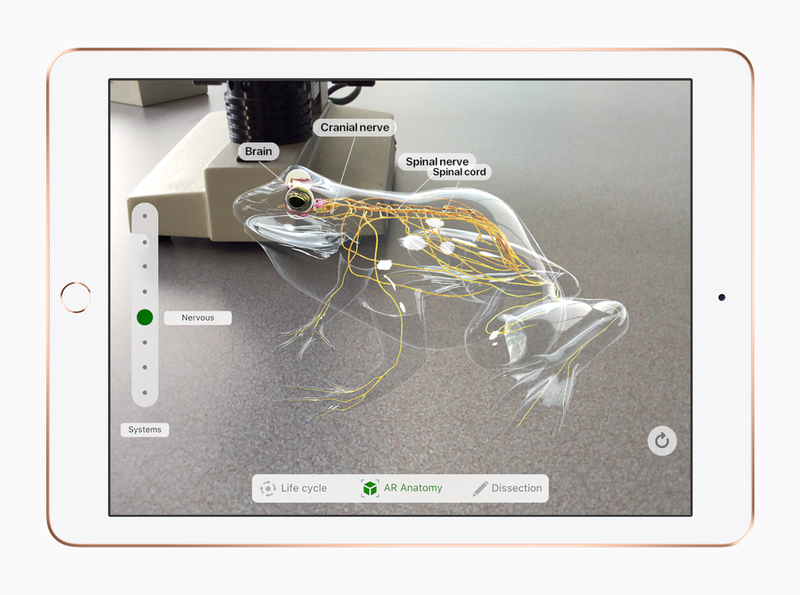 The system is expected to ship in September 2018. 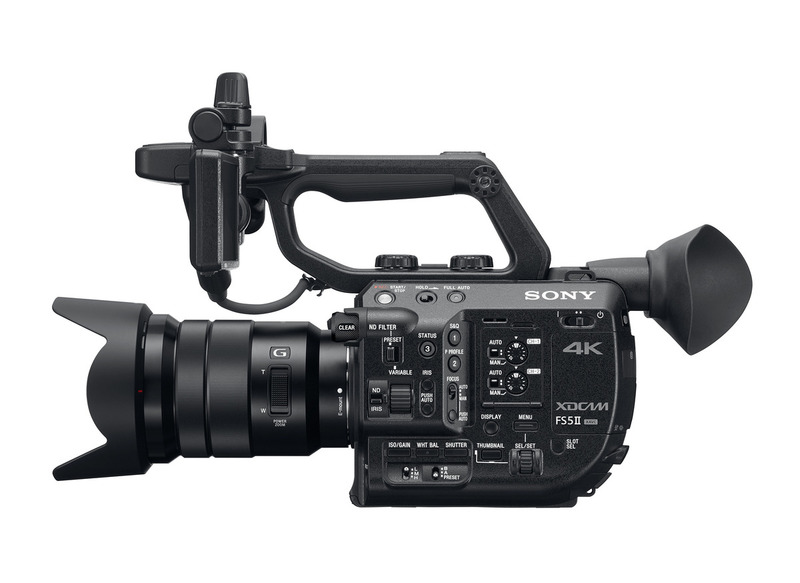 Sony has officially announced the new FS5 II , Building upon the foundation laid by the Sony FS5 , the new camera features incremental improvements such as a new color science , Instant HDR and dual card slots, while keeping the core FS5 features mostly intact. 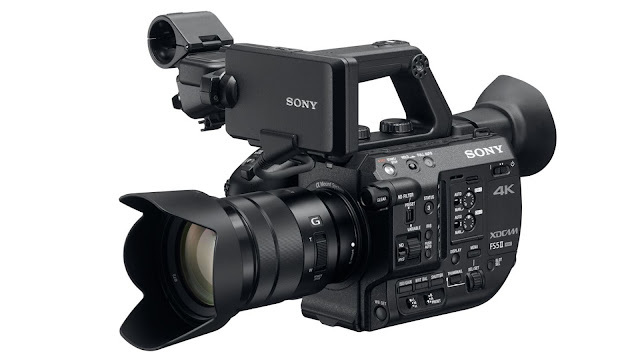 The new FS5 II at first glance, looks quite similar to the older model, the camera features a Bayonet style camcorder layout with top handle accessories and a rear EVF , although it looks similar to the older model externally , the camera does pack some improvements in the sensor department as the new module is tuned for high frame-rate recording to an external recorder , therefore the FS5 II can output DCI 4K RAW in 60fps and shoot 4K RAW at 120fps for a short sequence , the camera is also capable of shooting 2K RAW at 240fps. Internally the FS5 II is limited to 4K 30fps ,2K 30fps and 1080p at 120fps continuous , the camera can also record 1080p RAW in 4:2:2 10bit quality for about 8 seconds at 240fps and the same frame rate in 2K as well , the camera features HLG (hybrid log gamma) and Instant HDR which grades HDR video content internally for video stream out, and as mentioned, Sony has improved the color science in the camera and so it now produces warmer skin tones (which may appeal to wedding and event shooters).If you wan't to grade your footage later, Sony's has kept the sLOG 2/3 profiles in the camera. Overall the FS5II as mentioned earlier, is designed to bring improvements to the overall FS5 experience , although the lack of internal 4K 60fps may be a deal breaker for some , the camera is still a solid workhorse for working professionals (who probably wouldn't mind attaching an Atomos recorder). But if you will want 4K 60fps internally, then the best solution is to wait for the upcoming A7 SIII or go for the more expensive FS7II. 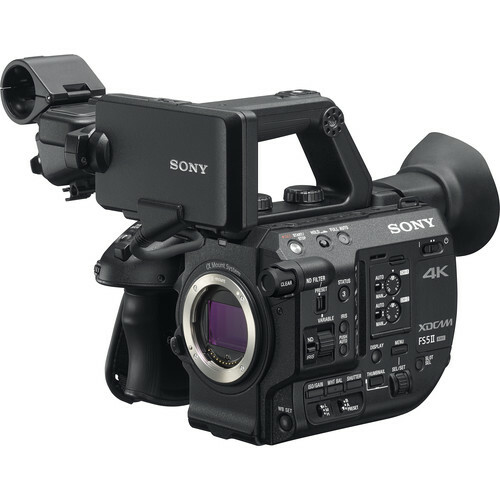 Overall for $4750, the Sony FS5II is still a bit of a bargain when compared to more expensive options from rivals, the FS5 series , in someways is still one of the best small ILC camcorders in the market and Sony pretty much owns the turf so to speak , and the new model, with its addition of dual card slots, an improved electronic ND system and the color science, will surely keep Sony at the top of the chart for some time. GoPro Hero - GoPro's most "affordable" action camera yet! GoPro has officially announced the GoPro Hero 2018, the new model , designed to replace the Hero Session line of cameras, offer a Hero 5/6 chassis and an affordable $200 price tag. 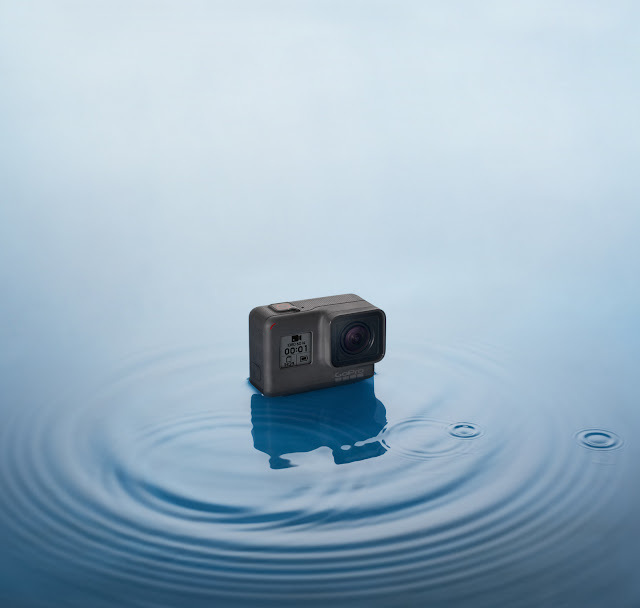 The camera, designed around a GoPro Hero 5 /6 chassis, offers water resistance out of the box with no added casing - a major selling point as no special accessories will be required to make it waterproof. The camera also features compatibility with existing GoPro Hero 5/6 accessories as well as the ability to use GoPro Hero 5 batteries -making the camera a great backup for someone who already owns a flagship GoPro camera . The rear features a touchscreen display and this is same as the one found on the flagship models. 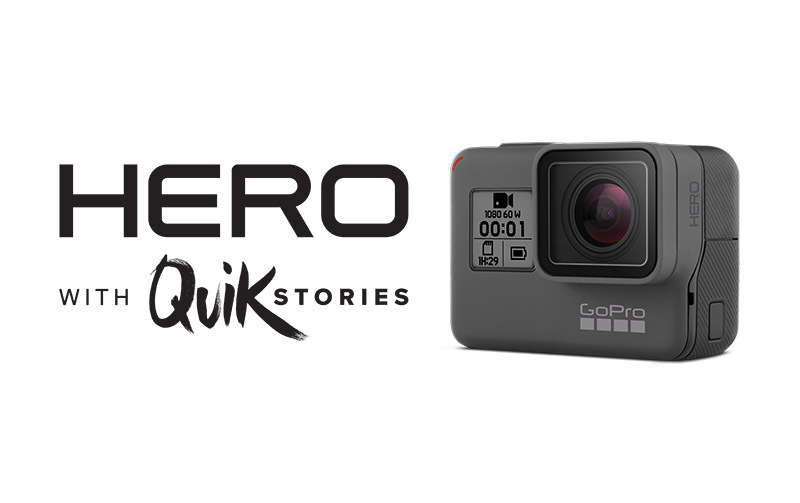 The Hero 2018 also features support for GoPRo's voice commands and Quik stories (Automatic video rendering). The similarities with the Hero 5 and 6 end when we take a look under the hood as the new Hero features an older generation 10MP sensor with 1440p at 60fps or 1080p recording(60fps) - Probably from the days of the Hero 4 , the upside is that the camera does feature Electronic image stabilization, but at the same time GoPro has removed their "Protune" manual menu option from the Hero - which is probably a deal-breaker for professionals who would like to get more creative with what they shoot . Also left out of the GoPro Hero is the support for external microphones which is another feature many would have liked. Overall the GoPro Hero appears to be a good addition to the current Hero lineup, the new model , which is a far cry from the original Hero launched many years prior is certainly worth the money , but with prices fluctuating, chances are that GoPro might eventually knock at least $50 off by the end of the year. And so if you can wait, the Hero 2018 can be had for less, making it a good deal if you want a reliable and waterproof (out of the box) action camera experience without burning $300-400. 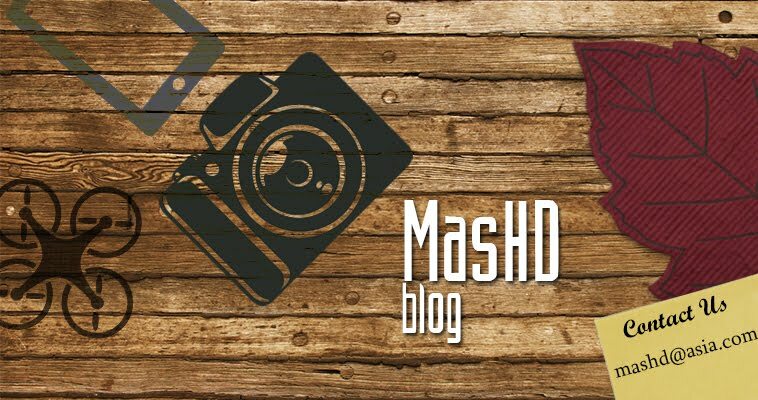 Written by Rakitha for MasHD. Kinefinity announced their new line of MAVO Cinema lenses with 25mm , 35mm,50mm ,75mm and a 100mm focal lengths and T2.0 aperture , The lenses come with a 12 bladed iris and the lens optics have a 46.5mm image circle diameter - making it ideal for any large format (35mm) cinema cameras (Alexa LF , Red Monster WW, Canon's C700FF and the Sony Venice . Kinefinity also hopes to announce their own development plans for a 35mm FF camera which is currently called the Mavo LF . 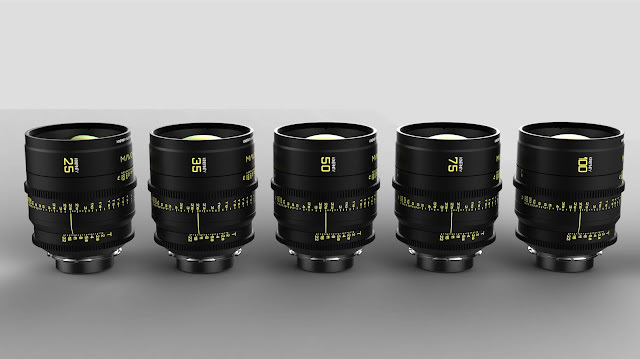 The MAVO primes are priced at around $2500 each and you can get them for around $12000 if you order the whole set . Shipping starts in May 2018. 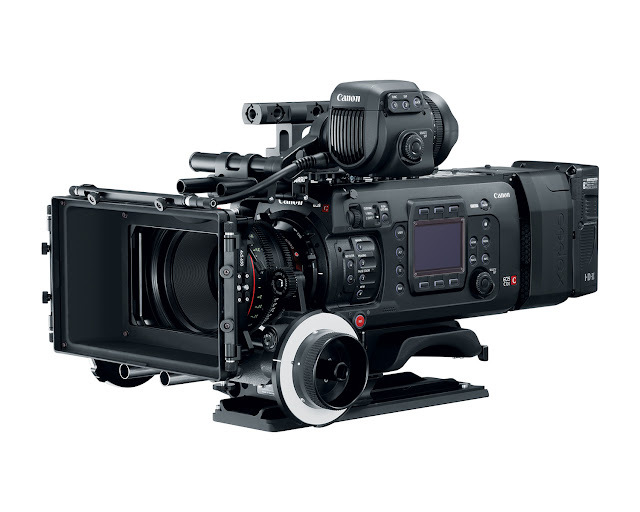 Canon has officially announced their first Full Frame cinema camera - the C700 FF . The camera , which sits at the top of Canon's cinema lineup , offers a 35mm (38.1 x 20.1mm) which can be used in either 35mm , Super 35 (APS-H) or Super 16 modes,making the camera more adaptable than the "Older" C700 model which comes with a Super35 sensor . 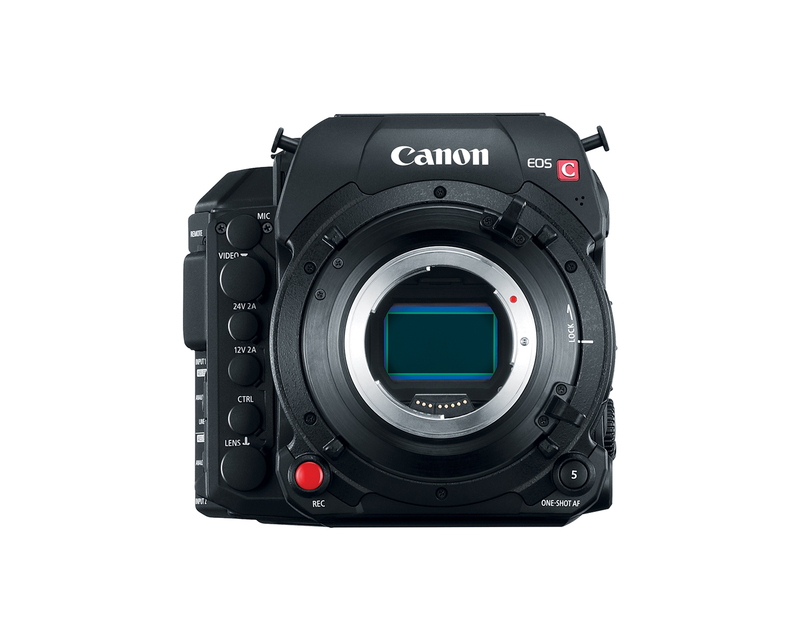 Set to capture 5.9K at 60fps in RAW , the camera is quite capable as it can even shoot 4K at 72fps with a slight crop in either ProRES or XF AVC , other recording options include 2K at 168fps .The sensor also features Canon's industry leading Dual Pixel AF if you plan to use the camera on autofocus or subject tracking. 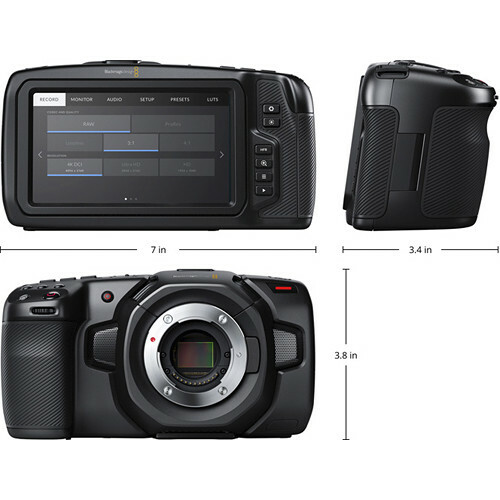 The sensor boasts 15 stops of dynamic range and it also supports Anamorphic de-squeezing. The camera body , which comes with 2x CFast cards for recording , is also capable of directly recording to an external recorder such as the Canon CDX 36150 recorder as well . The EF lens mount , which can be changed to a PL mount if required , adds another layer of adaptability to the platform . Other features include IP live streaming, built in carousel ND filters (2,4,6 stop with 8,10 stop acquired with a combination of the carousel)and support for B4 broadcasting lenses for run and gun situations. Pricing for the C700 starts at $33000 for the body and will ship in August 2018. 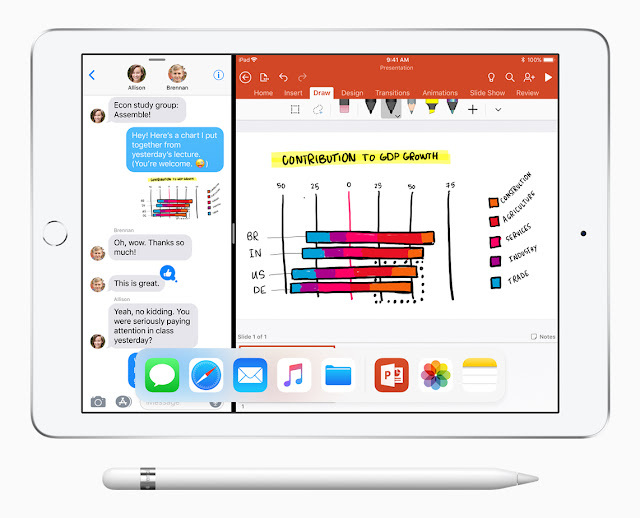 The tablet , which is quite similar to last year's iPad 2017 model , features an attractive $329 (same as last year) price which can drop to $299 for schools and education institutes, the tablet , aimed at students , also features support for the Apple Pencil stylus . 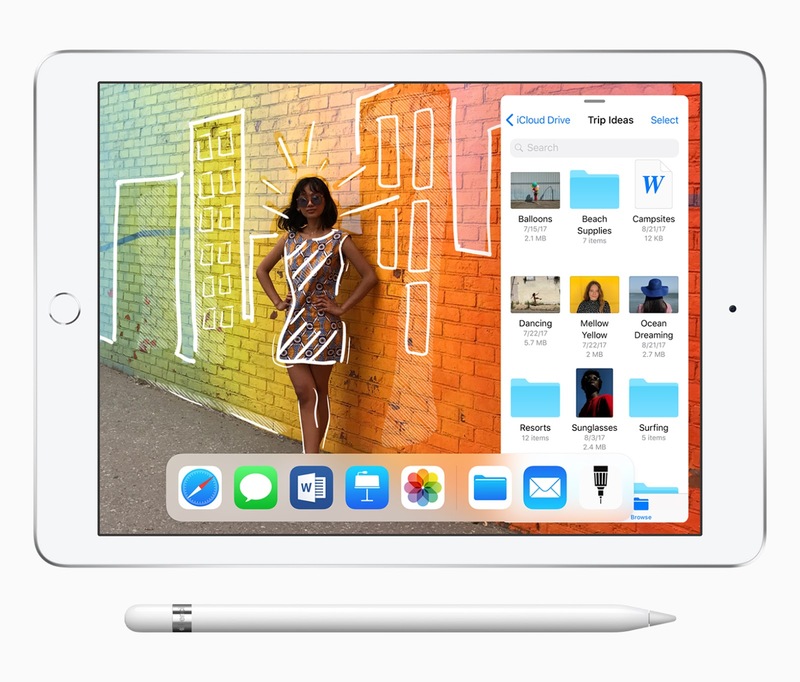 Under the hood , the tablet features the Apple A10 Fusion chip - the same as the one found on the iPhone 7 and 7 Plus, the RAM on board is 2GB and the tablet can be bought in 32GB or 128GB variants . There is also an option for LTE which costs an extra $100 per storage variant . The front glass plane of the iPad 2018 features the front facing iSight camera with 1.2MP resolution and has 720p video, the camera also features Retina Flash which when triggered , uses the display to "fire" light onto the subjects face. The rear camera features a 8MP sensor and can record 1080p video unto 120 fps in HD . The 2048x1536 Retina display of the new iPad is the same as the one found on the iPad Air 1st gen and therefore it is not laminated as the one found on the iPad Air 2 , although this introduces a bit more glare and less vibrancy, it is certainly does help if the tablet ever falls down on its jelly side as replacing the front glass is separate from the LCD , leading to only the glass being replaced , which is cheaper to manufacture and easy on the wallet for common users. Overall the iPad 2018 feels more of an incremental update over the previous generation , but if you were planning to buy a iPad Pro model for just the stylus and don't care about the display, you may want to take a look at the new (new) iPad . 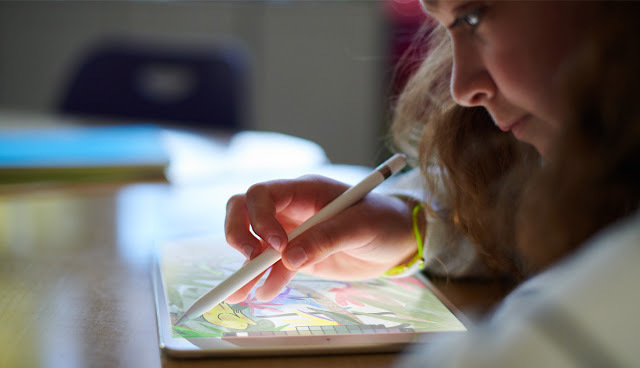 Apart from the discounted $299 price for students, Apple also plans to sell the Apple Pencil for $89 which is $10 less than the standard retail price. 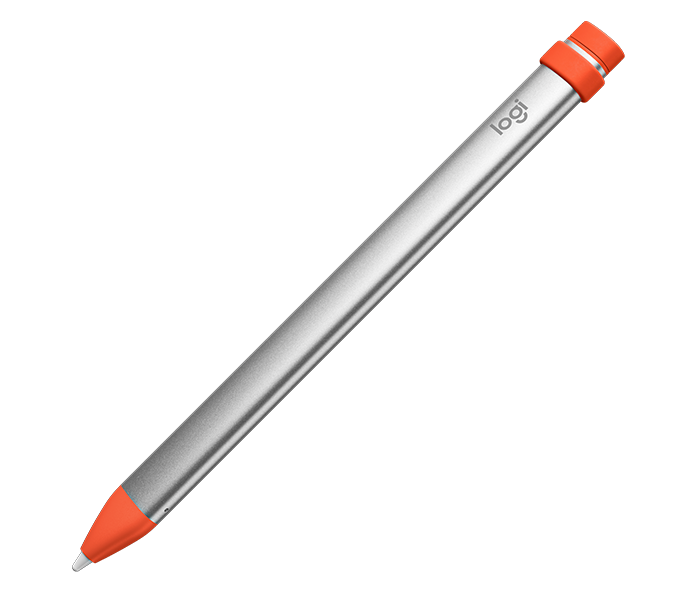 Third party manufacturers are also hopping onboard the new iPad education mission and are said to be offering a "educators only" stylus called the Crayon which is $49 and is made by Logitec, Logi also has a Rugged combo- Keyboard case for the iPad 2018 as well. Huawei has officially announced their flagship phone duo for 2018- the Huawei P20 Pro and the Huawei P20 , the two phones , powered by the Hisilicon Kirin 970 processors are basically identical for the most part, but the camera module(s) of the P20 pro are vastly superior to the smaller P20 as it features three camera modules with the main sensor boasting 40 megapixels and an f1.8 aperture. The P20 Pro is basically Huawei's flagship for 2018, the phone , designed to take on the Galaxy S9 and the iPhone X (it even has a "notch" to match) features jaw dropping specs out of the box. The design , which includes a blend of glass and metal, now features a IP67 water resistance and features no headphone jack as its apparently a trend in this day and age. The phone features a 6.1" display with a 2240x100 resolution AMOLED panel , this display features a 18.7:9 aspect ratio and has 408ppi , the display is somewhat split at top, and in the middle of a small notch , the phone's secondary camera module - a 24MP sensor , and a speaker grille can be found. Rest of the specs include a front facing fingerprint reader - an intelligent AI system for face unlock , and Oreo (Android 8( with Huawei's custom EMUI 8.1 skin on top. Under the hood , the P20 Pro features a 8 core Kirin 970 processor, which is said to feature 4 Cortex A 73 cores and 4 A53 cores clocked to a maximum of 2.4Ghz , this is also backed up by 6GB of RAM and it comes with 128GB of internal storage, which is sadly not expandable. The cameras on the rear side of the phone are probably the most impressive ones found on a phone (yet) , the main sensor , which boasts a whopping 40MP features a 1/1.7" sensor size and has a fixed f1.8 aperture , The sensor is backed up by Leica optics and it offers 3X zoom , Laser assisted AF and two tone LEF flash with a built in light meter. The other two sensors at the back include a 20MP monochrome unit, which , as the name suggests , only shoots black and white , the Bayer sensor , which is set to detect color has been removed , and thus the monochrome unit can achieve high quality monochrome stills with great shades and richness, The sensor is backed up with Leica optics and it has a 27mm Field of view. Lastly the third camera in the lineup is a 8MP sensor with a f2.4 aperture which is paired with a 80mm equivalent lens.The main module shoots 4K at 30fps and has optical image stabilization. The three units therefore make the P20 Pro one of the best camera oriented smartphones this year. The P20 on the other hand features a smaller 5.8" display with the same resolution as the P20 Pro and thus it has a slightly higher 429ppi.The display technology on the phone is LTPS (IPS) and therefore it will not feature the vibrancy of the higher end model . 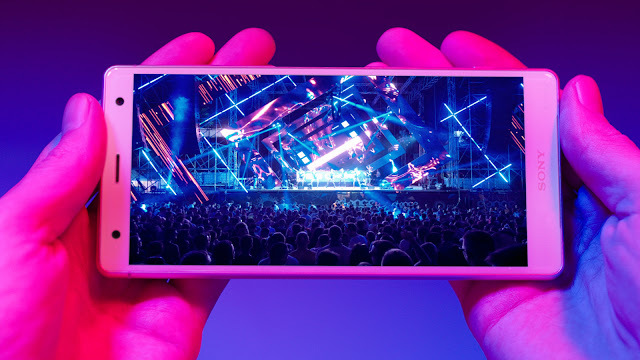 Under the hood , the P20 features the same Kirin 870 clips clocked to 2.4Ghz , and has 4GB of RAM and 128GB of storage with no expansion.The phone is also IP53 rated and therefore it will not have the same layer of ingress protection as its bigger brother. The camera's on the P20 have also received a change as the main sensor is a 12MP unit (1/2/3" sensor with f1.8) and it has Leica optics as well m the second camera is a 20mm sensor with a f1.6 aperture and 2x optical zoom) .The phone also shoots 4K 30fps and is only capable of recording 720p from its front (24mp) sensor . The battery on the P20 is smaller than the 4000 mAh cell found on the P20 Pro, and thus the P20 only has a 3400 mAh cell onboard. 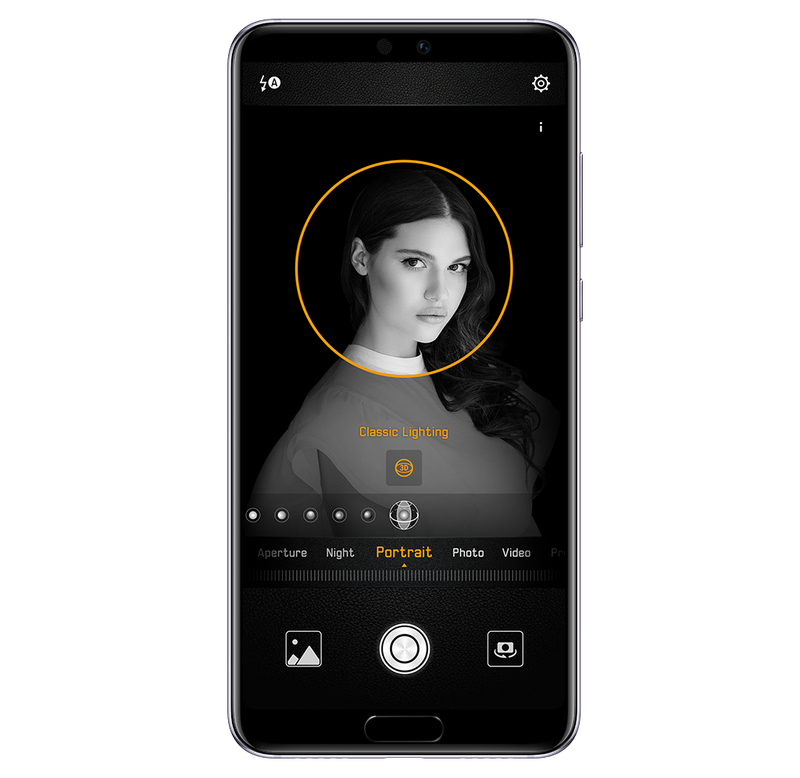 HUAWEI P20 Pro 6 GB + 128 GB 899 . Lens mount options for the Mavo includes PL , EF , FE and Nikon F and they can be interchanged thanks to the Mavo's KineMOUNT which allows for easy modularity , There is also an option for a variable ND carousel if needed.The camera is also said to come with an option of a removable OLPF - optical low pass filter , which would improve sharpness (but introduce Moire a bit). The rest of the chassis includes the usual interfaces (SDI , HDMi ,Mic in and out etc..) as well as a slot for a 2.5" SSD and a side grip for an external mic and Kinefinity's KineMON monitor . The Camera also supports the KineBACK rear attachment module and the new KineBACK - W series offers a V mount battery slot , SDI out, Dual XLR and ability to transmit a feed wirelessly . 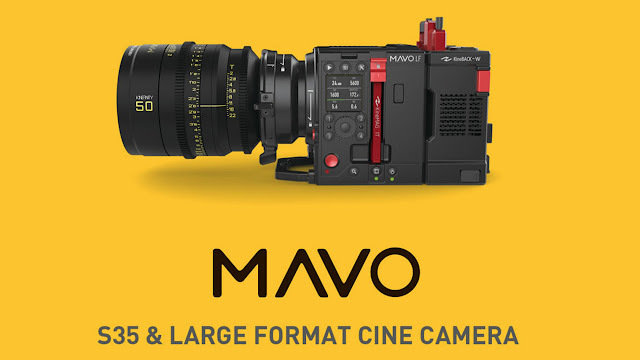 Pricing for the Kinefinity Mavo starts at $7999 body only, the basic starter kit would run unto $9499(the KineMON, 2 batteries and the Side grip are included with the starter kit) and the pro kit would retail for $10999 , but If you plan to buy the whole kit , then the price runs up to $13999 and may include the Sidegrip, KineMON monitory few Batteries , Kinefinity's own KineMAG SSD and the KineBACK module with wireless transmitting. 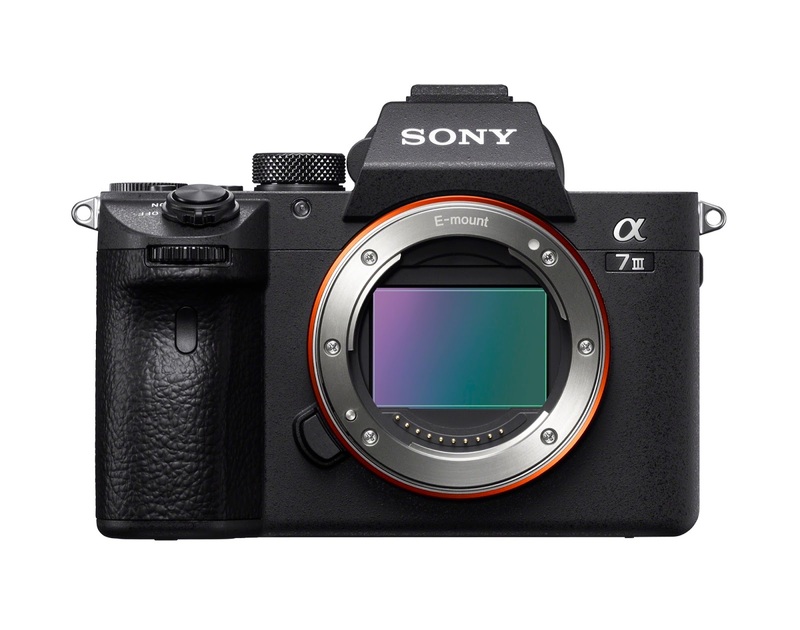 Sony has been on a roll recently , the A9 , launched as a Nikon D5/Canon 1DX rival has so far been the darling of many reviewers and professionals alike , and on the other hand , we have the recently announced Sony A7RIII which has also been making headlines as it changed the playing field which otherwise would have been mostly a duopoly between the Nikon D850 and the Canon 5DMk4 . With Mirrorless sales slowing chipping off DSLR sales ,its quite evident that Sony will release more Full frame cameras in time to come , the rumor mill , which so far consisted of only the upcoming A7SIII suddenly went into overdrive as news of a successor to the "Basic model" A7II were leaked , the camera ,which was initially thought to be a watered down version of the A9- with one SD slot and no rear joystick are all "fake news" as they are all present in the new A7III. The camera , designed around a new 24MP - Full frame BSI image sensor with 5 Axis IBIS image stability ,features 693 AF points and 425 contrast detection points , this provides 93% coverage which means that users can select an AF point far away from the usual AF grid found on competing DSLR cameras . The AF options include eye AF as well as continuous AF when shooting at 10fps (similar to the A7RIII) . The rear joystick , which has been a staple for professionals is also present on the new A7III as it allows for faster input on manual AF selection .The ISO range is 100-51200 and it can be boosted to ISO 50 – 204800. 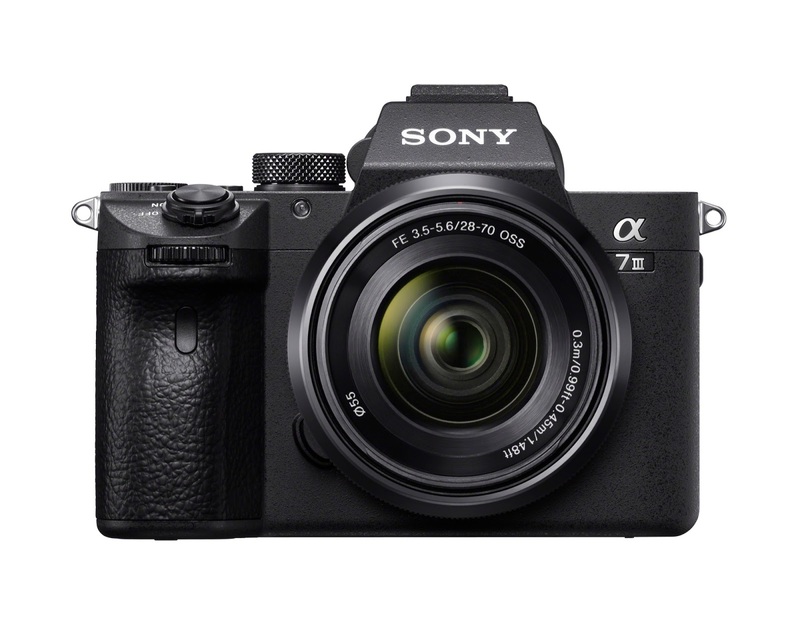 The buffer of the new A7II is said to be 177 JPEG and 89 compressed RAW or 40 uncompressed RAW , the Bionz X image processor , which does the heavy lifting on the A7III , is capable of writing to either one of the 2x SD card slots (but keep in mind that only one of the two are UHSII so users can opt to write RAW images to that instead) .The camera supports USB 3.1 tethering and it can also charge via USB C .
Rest of the specs include the ability to shoot 4K@30/24fps (6k downsampled) with a hybrid log gamma mode . The A7III has S-LOG2 and S-LOG 3 profiles and with the improved 15 stops of dynamic range , users can expect more detail from shadows which were not present with the previous model . The 3" rear Tilt only display , which has a 921k dot resolution is also touch friendly , so you can use it to set an autofocus point with , or use it to rack focus in video . The EVF on the camera features a 2.3M dot resolution and 100% viewfinder coverage (plus a 0.71x magnification , higher than the previous model) . Battery life is quoted as 710 shots per charge (on the LCD) - impressive ,considering that mirrorless cameras just a year back sometimes had only half that capacity . The secret behind the battery life is the new NP-FZ100 Z series battery which has been brought forward from the more expensive models . 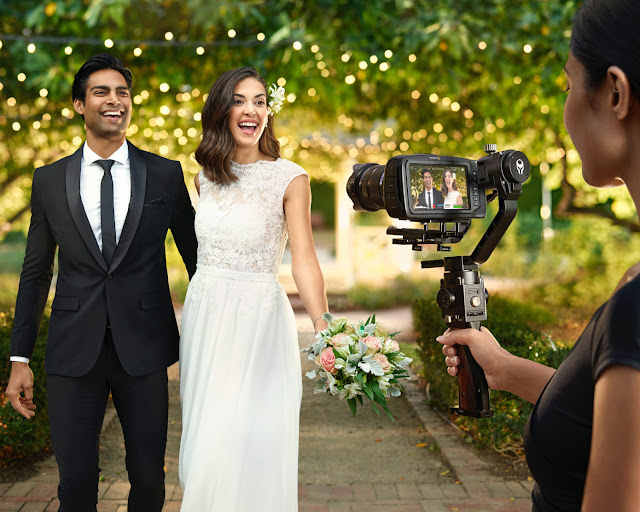 Overall the A7III aims to be the middle ground - entry level option for those who are starting out their careers as wedding or event photographers (or ones who can't pony up for the more expensive models) the segment , which has currently been dominated by Canon's 6D ,6D Mk2 and the Nikon D750 would now have to compete against the new A7III directly , and as far as specifications and pricing goes , its clearly evident that cameras like the under -spec'ed 6D Mk2 will be a hard sale for new customers who are not invested in any system yet . The Sony A7III will be priced at $2000 body only , or $2200 with the FE 28‑70 mm F3.5‑5.6 kit lens .The camera will ship in April 2018 . 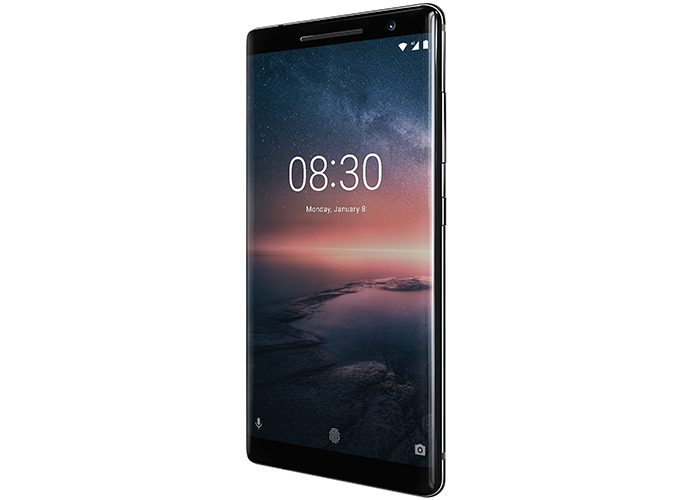 Nokia (HMD) has officially announced their flagship spec Nokia 8 Sirocco smartphone today . the phone , designed to occupy a slot between the mid range Nokia 7 and the upcoming Nokia 9 flagship , features a Lumia inspired metal chassis and a 5.5" P-OLED display which has a resolution of 2560x1440 . The phone , like most high end products , features a IP 67 ingress protection rating and a healthy amount of RAM - 6GB in this case , paired with a 2.5Ghz Snapdragon 835 Soc with Adreno 540 GPU . Storage wise , the phone holds 128GB internally and this can be expanded to another 256GB via MicroSD . The phone , like most higher tier Nokia's of the past , features Carl Zeiss optics - which are now paired to two 12MP sensors of which the main module has an aperture of f1.75 and a 1.4 Micrometer pixel size and Optical image stability (OIS) , the second unit , which has a f2.6 Aperture , features no OIS onboard . 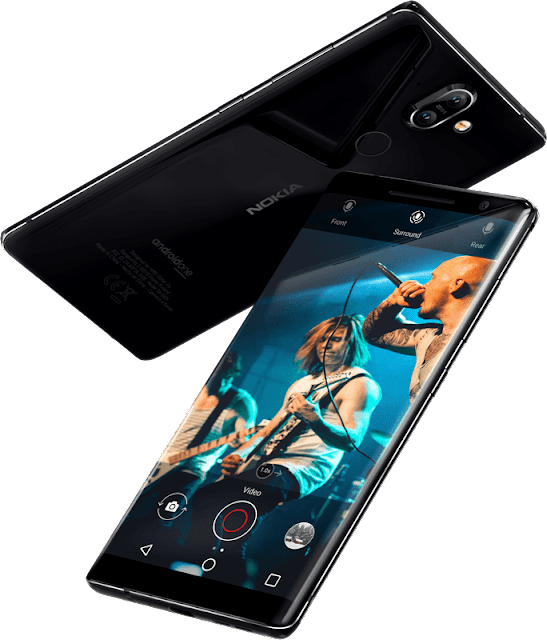 The rear module of the Nokia 8 is capable of 4K recording at 30fps while the 5MP front sensor is only capable of 1080p . The rest of the specs include QI wireless charging and charging via USB C , the phone also comes with Nokia's OZO audio enhancement technology , but the phone , in a rather strange twist , has no headphone jack (like most 2018 top tier models now) . 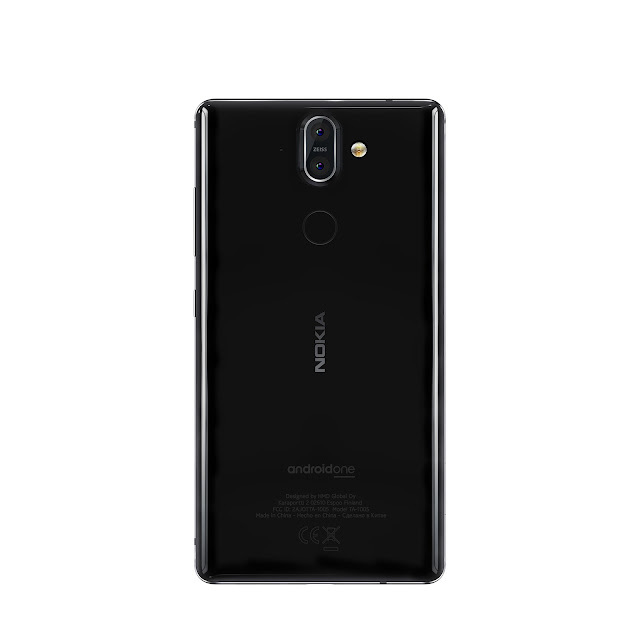 The device runs on Android 8 Oreo out of the box and thanks to Nokia's commitment , the phone will get its fair share of updates to come , oh and last but not least , the Nokia 8 is also enterprise friendly . 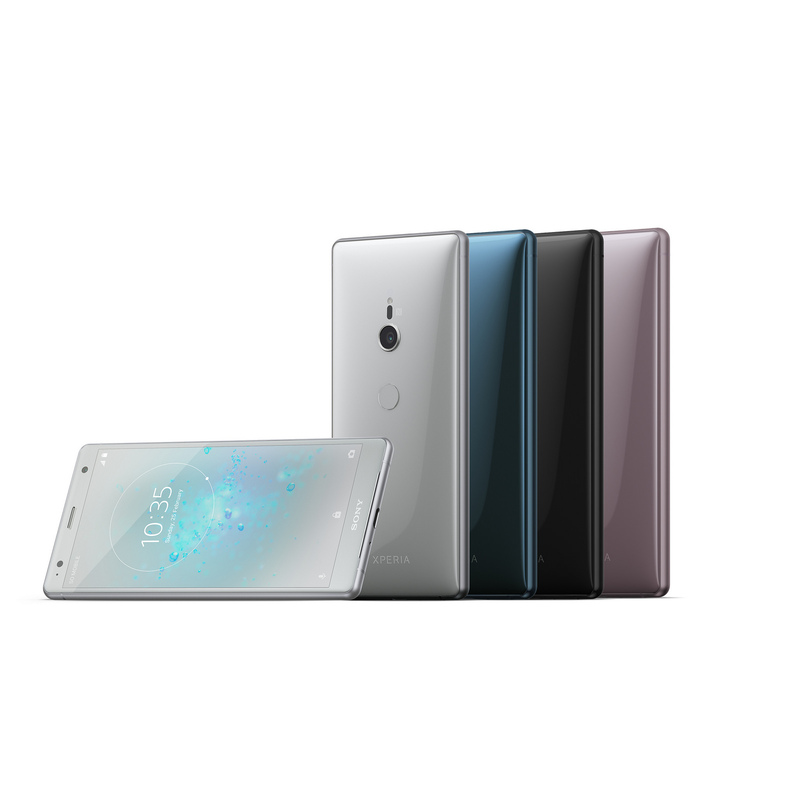 Sony has officially launched their latest flagship duo for 2018 - Xperia XZ2 and the Xperia XZ Compact . 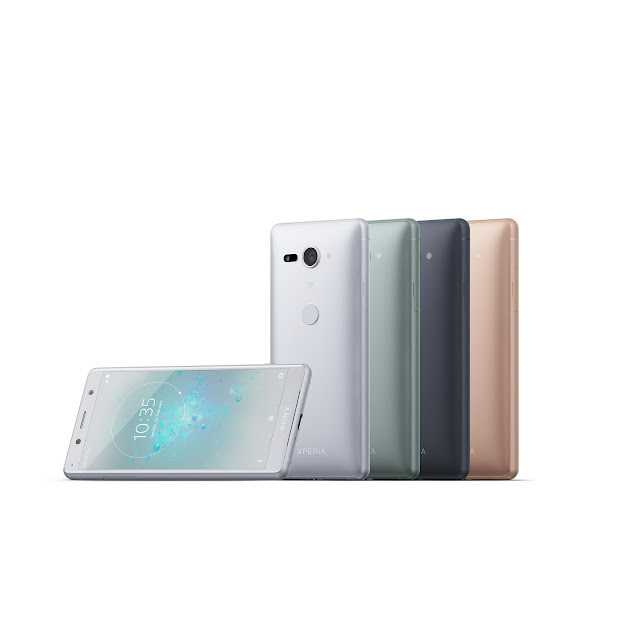 The two phones , which are said to take “the best of Sony” ,feature an all new design aesthetic and thus departs from Sony’s blocky designs which were first seen on the original Xperia Z from 2011 , the new designs, which has a somewhat of a HTC U11 vibe to it ,features a curved back , thinner bezels and no headphone jack (hmm) . The phones ,just like Sony’s of the past , feature IP65/68 dust and water reststance ,the two displays feature Gorilla glass 5 protection and they are also HDR BT2020 ready with both the 5.7” and the 5” variants sharing the new de-facto 18:9 aspect ratio and 2160x1080 resolution . Under the hood , both devices also share a Snapdragon 845 soc (Adreno 630 GPU) with 4GB of RAM and 64GB of storage (expandable upto 400GB via microSD). 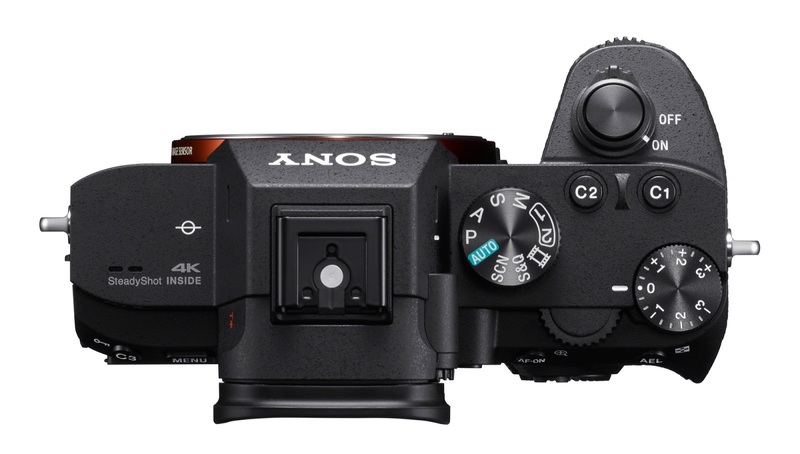 Both devices also use Sony’s 19MP Motion Eye 1-2.3” sensor (IMX400), the unit features a f2 aperture ,and has a laser assisted autofocus system as in previous models .The camera ,which has the ability of shooting 960fps super slow motion has now recieved a resolution bump to 1080p (up from 720p in the ZX1/s) ,but it still only records for just around 1-2 seconds before the ISP’s DRAM module fills up. 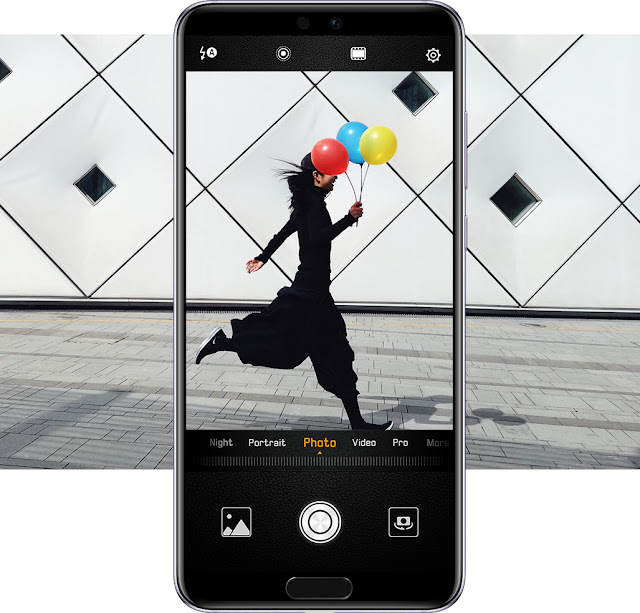 Other details include 5 axis stabilization (EIS) and a secondary 5mp front camera with EIS stability and a f2.2 aperture . Other common features include Android Oreo 8.0 , NFC,CAT 18 LTE-A ,fast USB charging , QI wireless charging and a rear mounted Fingerprint sensor .The Sony Xperia XZ2 features a larger 3180 mAh battery while the Sony Xperia XZ2 compact features a 2870 mAh battery . The two phones are expected to hit shelves by the end of March ,pricing will be available soon. 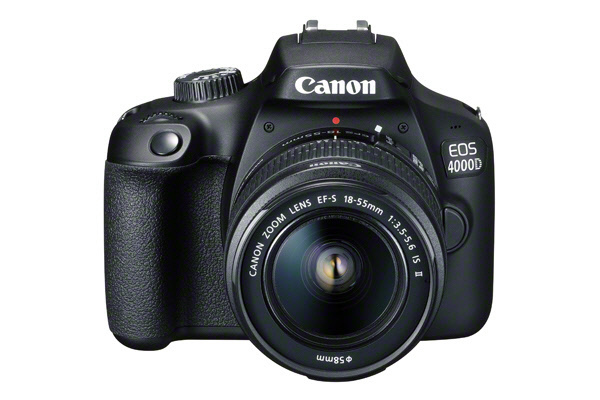 Canon has officially announced the cheapest DSLR ever produced – the EOS 4000D . 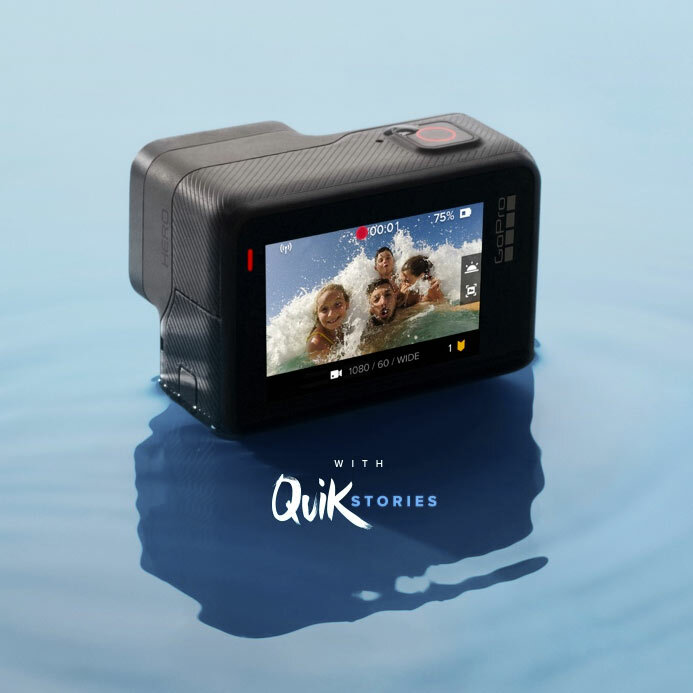 The camera , aimed at beginners and bargain hunters who want a reliable starter kit ,feature an easy to use interface , an almost basic button layout and a bargain price of GBP 330 ($385) . The camera , designed with polycarbonate/ABS plastic – including the lens mount (strangely) is durable and mostly resistant to the knocks and scratches most beginner users may subject this to . The camera is , like most Canon bargain bin offerings , feature mostly obsolete hardware including the 18mp sensor technology from the 9 year old EOS 7D and the Digic 4+ processor from 2014 , this list also includes the 2.7” LCD which was last seen on Canon entry level cameras from 2011 , although the camera is mostly assembled from the parts bin , there will be an audience – especially beginners who may enjoy using the camera to its highest potential . Video features include 1080p recording and don’t expect any Dual Pixel AF with the camera as well. The camera is also said to include a 18-55mm f3.5-5.6 III kit- lens without IS in the package . Overall the EOS 4000 looks to be a basic bargain entry camera for the masses , the specs and some of the recycled parts almost make this a cheaper EOS 1000 series camera – a superlaggera of some sorts , but with this model being only a few dozen dollars behind older(but slightly better) generation EOS 1000D or Nikon D3xxx models , it will certainly be a hard sell to somewhat well informed buyers.